Several players omitted from SI.com's Top 100 NBA players of 2017 have a real shot of appearing in the future, including Ben Simmons and Harrison Barnes. You’ve likely seen SI’s Top 100 list by now, as penned by Ben Golliver and Rob Mahoney. You may have had a few qualms with the order, or who was selected, and that’s fair. The decision process is meticulous, and one consistent through-line year to year is that young players have a hard time cracking the list. As a rule of thumb, rookies are not considered. The Top 100 values proven production and on-court acumen over potential as it projects performance for the upcoming season. Only four players from the 2015 draft class made this year’s list (Karl-Anthony Towns, Kristaps Porzingis, Nikola Jokic and Devin Booker). For context, Towns became the first second-year star ever to crack our Top 25. That’s extremely rare, and the odds of anyone in this year’s class making that sort of leap are slim. While moving from Golden State to Dallas seems certain to diminish the degree of team success Barnes enjoys going forward, he should step into a more prominent role with the Mavs. That gives the rangy wing a solid chance to elevate his production as the Mavericks figure out their pecking order on the offensive end behind the finely-aging Dirk Nowitzki. His production has enjoyed a steady uptick in each of his four seasons, and with fewer mouths to feed in Dallas, Barnes seems like a solid bet to crack the next list. The challenge here might be maintaining his efficiency. He shot a combined 41.9% from the field in two seasons before Golden State emerged as a juggernaut, which could certainly point to regression. KCP took a nice step forward in 2015–16, shouldering one of the league’s highest minute-per-game workloads while improving his field goal percentage, playing steady defense and fitting nicely into the Pistons’ system. You can look at two-way wings like Danny Green (69th overall), Trevor Ariza (81st) and Kent Bazemore (90) as touchstones for Caldwell-Pope’s progression. The kicker: he’ll likely have to prove he can shoot from distance to factor in on the list after regressing from 34.5% to 30.9% last season. Playing in a deeper, more balanced Pistons rotation could help with that. Though rule No. 1 of Summer League is never to read too much into Summer League, Kris Dunn passed the eye test with flying colors and looks poised for a big role as a rookie in Minnesota. His slashing ability and persistent defense fit Tom Thibodeau’s point guard prototype, and on a promising young roster that could take a big step forward, Dunn could certainly shine as a playmaker and leap into the league’s upper echelons. He’s talented enough to do it. But it’s worth nothing that Thibs was never especially patient with rookies in Chicago, and with the experienced Ricky Rubio ahead of him, Dunn may need a gap year before landing in the Top 100. If Allen Iverson is The Answer, and Ben Simmons is The Process, then Joel Embiid is The Question Mark. Does that feel contrived? Anyway, nobody has any clue what a supposedly healthy Embiid will look like on an NBA floor, two injury-filled years away from the court delaying the NBA debut we hope comes to fruition in October. One look at his college highlights is a proper reminder of his potential—a developing touch around the basket, legit size and potential to alter shots on defense suggest Embiid could land firmly on the list with a full rookie season. The issue, of course, is getting him through a full season. The Sixers will be cautious. Parker quietly took a huge step forward last season, returning from a torn ACL to post respectable numbers and acclimate himself quite well as the year went on. He’s an instinctive scorer and unselfish player, and the Bucks will need him to hunt buckets to maximize their success. Two big questions appear to stand in the way of his place on the list: his individual defensive improvement and Giannis Antetokounmpo’s usage as a ballhandler. Still, he’s already one of the league’s more difficult covers along the baseline, and is bound to make the list at some point. When he wasn’t frustrating Byron Scott or recording Nick Young, Russell’s flashes as a playmaker and volume scorer offered Lakers fans much-needed hope to pair with the off-court weirdness. If his time coaching the Warriors was any indication, Luke Walton will take the kid gloves off and let Russell do his thing. His counting stats seem guaranteed to take a leap in Year 2, and if he can limit turnovers and prove himself on the defensive end, Russell could be ready for a Top 100 debut. 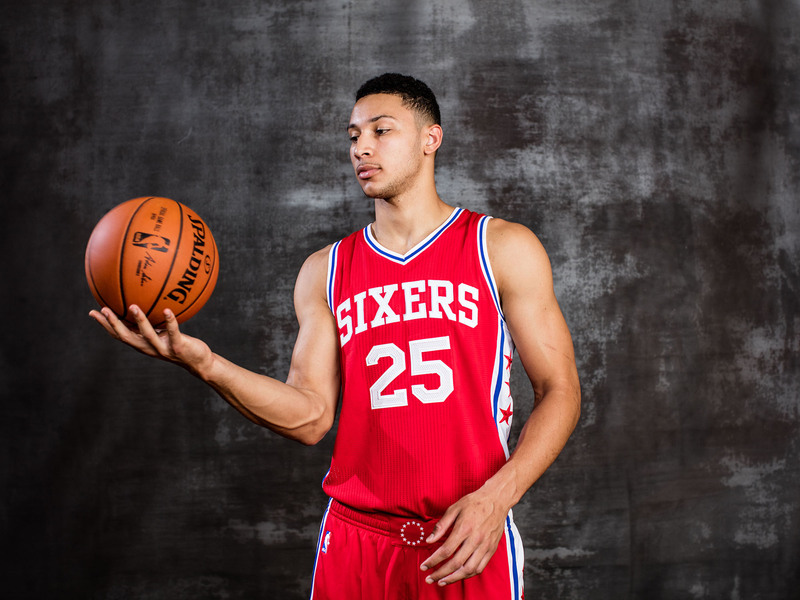 You’ll continue to hear a lot about Ben Simmons, and some of the hype will be warranted. His passing ability is top-notch and should translate quickly to the NBA floor given his size and athletic gifts. At the very least, Simmons will be a captivating follow as the Sixers try to compete for the first time in far too long. He’s a near-lock to land in the Top 100 going forward. But his talents are best utilized with strong teammates around him, and right now, Simmons lacks that. His limitations as a scorer and unclear defensive fit could hold him back, at least for now. As head-scratching as Smart can be to watch at times, his physical gifts and defensive instincts are obvious. He remains a bit of a tweener guard after two seasons, but as he continues to harness his energy and contribute for extended stretches—and on a Celtics team that will rely on him to excel in his supporting role, given Evan Turner’s departure—Smart is more than gifted enough to break into the league’s top tier of role players this season. But these are all if’s, of course, and he remains a inconsistent scorer and non-factor from three-point range, period. We’ll continue to hope he puts everything together. After exceeding all expectations as a rookie, Turner will be asked to do even more on both sides of the ball as he enters his age-20 season. The LaMarcus Aldridge comparisons weren’t totally bunk, which says plenty—nice shooting touch and serious length around the basket suggest Turner could be one of the league’s more well-rounded big men sooner than later. How he deals with increased minutes and offensive usage on a Pacers team with high aspirations will determine how far he climbs in a year. Winslow proved himself to be a valuable specialist shortly after debuting last season, often guarding opponents’ top scorers and handling those assignments admirably. He should only improve in that role going forward. But the Heat are entering an uncertain future without Dwyane Wade, and will require him to be much more than that in the coming years as the franchise re-orients itself. He’s been an ineffective perimeter shooter thus far, but has the athletic ability to step up as a slasher and draw fouls and should enjoy some added freedom to do so. Winslow might be a couple seasons away, but he’s one to watch closely.